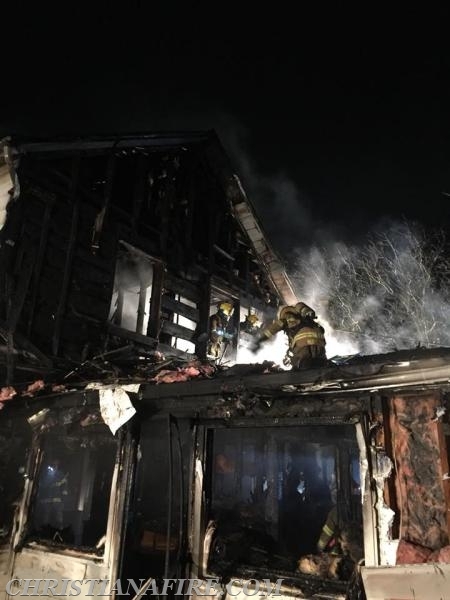 Early this morning at 02:58, Station 42 ( Gap Fire ) along with surrounding companies were dispatched to 5809 Limeville Road in Salisbury Township for the dwelling fire. 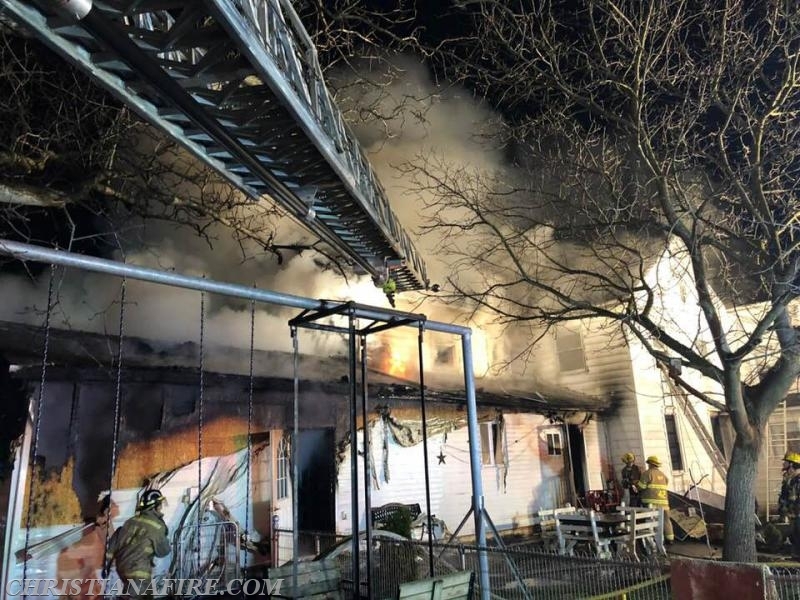 Within minutes, Chief 42 arrived with a large farmhouse with heavy fire showing. Because of this being a non hydrant rural area, two additional tankers were requested . 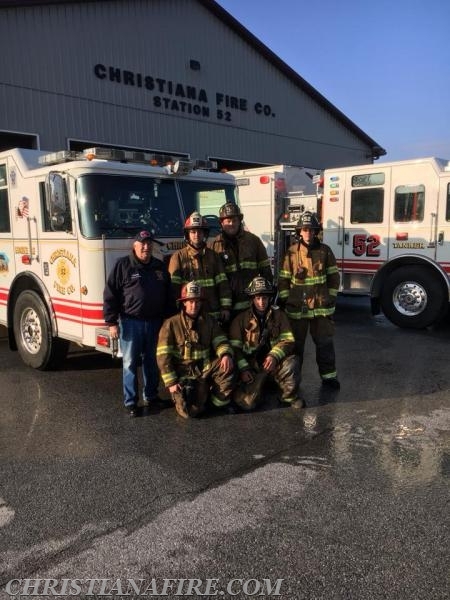 Station 52 crew after dispatch responded with Engine 521 ( Capt. Stoltzfus ) with 6, Engine-Tanker 52 ( Lt. 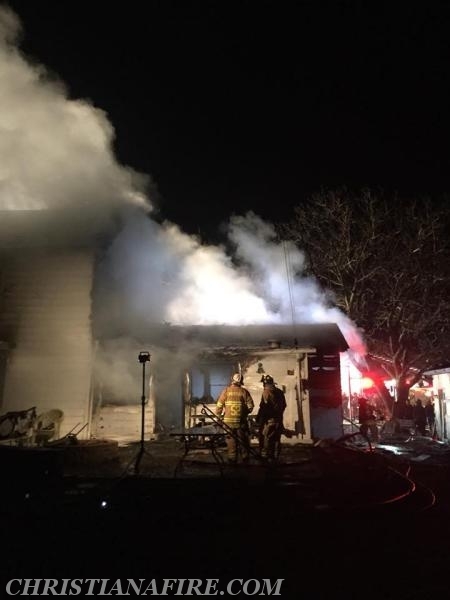 Swift ) with 8, Squad 52 with 3 arriving on scene at 03:13 AM. 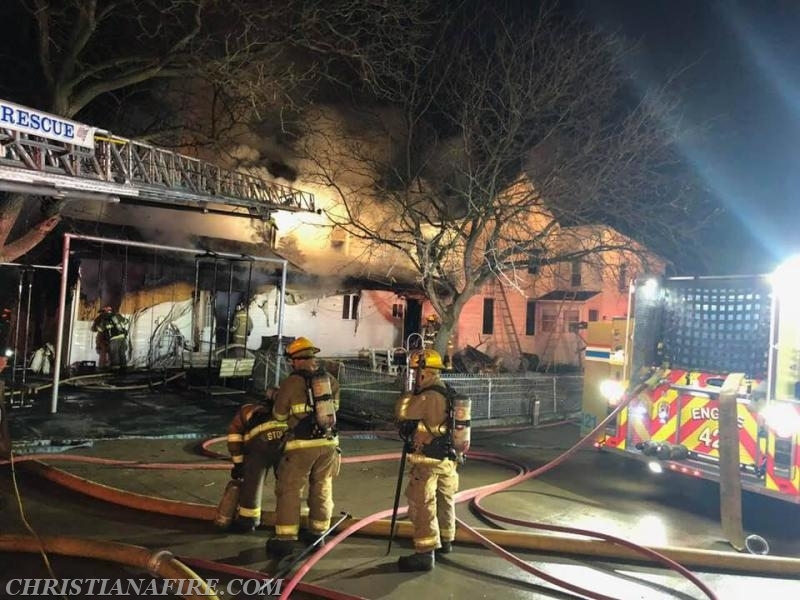 The engine crew was quickly deployed for suppression on division 2 of the well involved structure. The Tanker crew arrived to supply the fire scene with numerous other tankers, while the crew went forward to join the suppression effort. 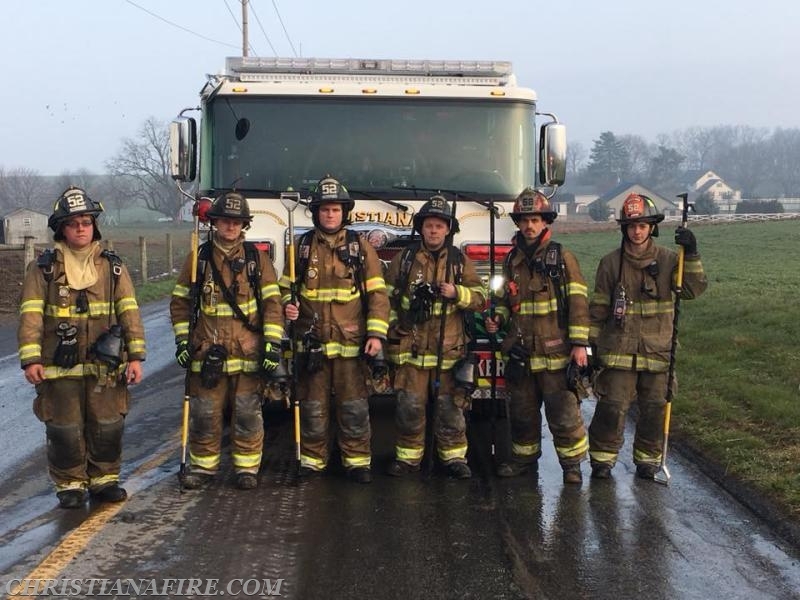 This crew would split into two groups, one group handling an attack line on side " C" assisting with suppression of exterior fire as well as backup on Division 1. The 2nd group arrived to replace the engine crew on Division 2. 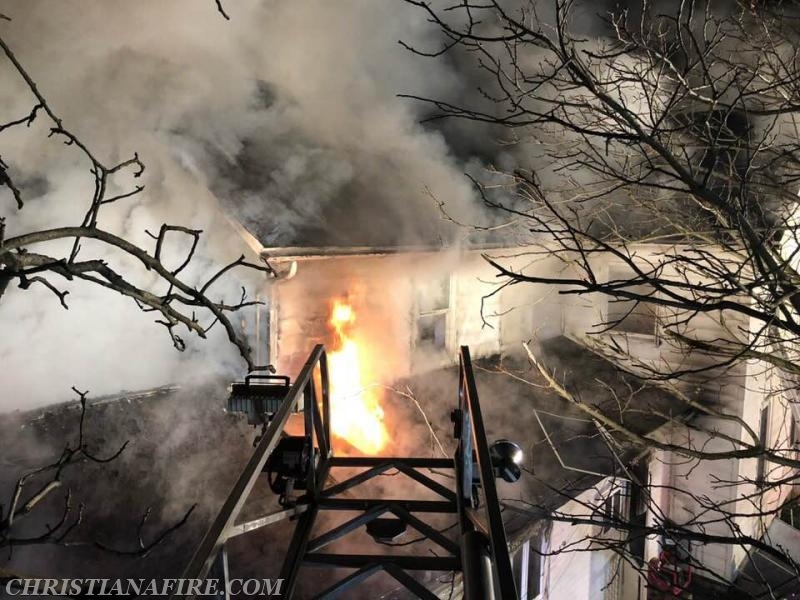 Conditions quickly changed for this crew when the entire 2nd floor was involved in a " flashover. " The numerous hours of training , along with their evasive actions clearly made the difference in the outcome of this incident. 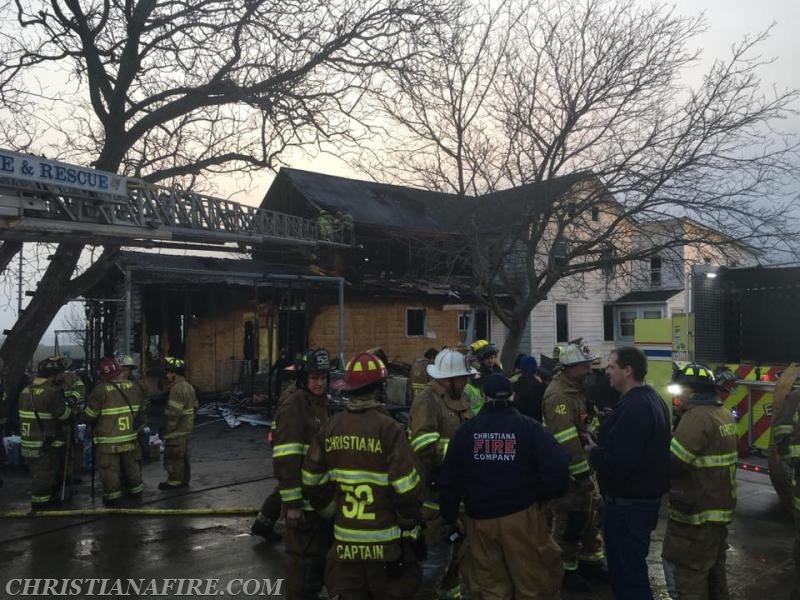 Numerous companies came together this morning, working as a team to accomplish our goals ; Fire Suppression, No Injuries, " All Go Home "
The officers and members of Christiana Fire Company would like to extend our thoughts and prayers to the family affected by this tragic event. 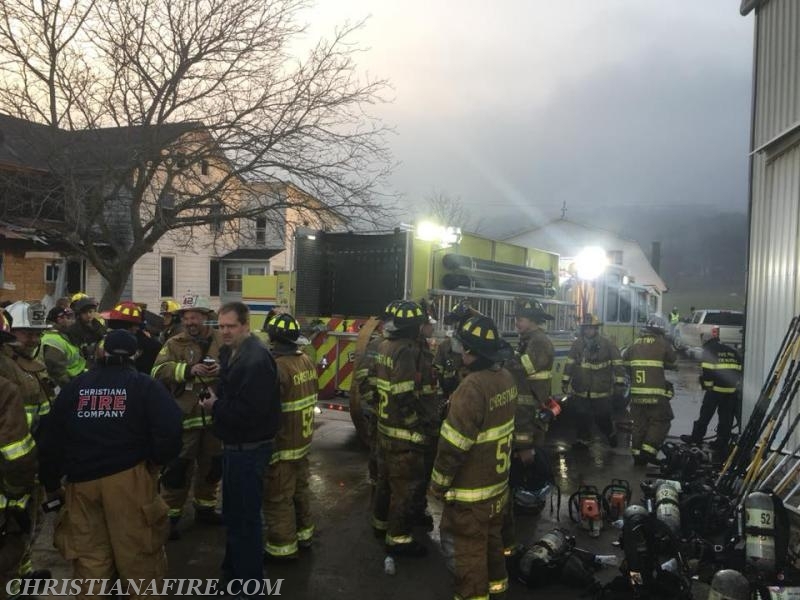 Station 42 ( Gap ) Mutual Aid- Chesco- 27, 33 Lanco- 34, 39, 44, 45, 47, 49,51, 52.